Joe is serial entrepreneur who has been a pioneer in a variety of emerging technologies, including creating one of the 1st digital media companies at the advent of the Internet. We understand the importance of offline apps for data collection work such as surveys and inspections. Working offline is a top requirement for most Formotus customers and a central tenet of our app design philosophy. The importance of robust offline functionality is under-appreciated, and the difficulty of delivering robust offline apps is underestimated. Forrester Research has described offline as the “most important and difficult feature” of mobile business apps. Offline support for your mobile applications has always been one of the pillars of the Formotus service. Offline productivity is in the very DNA of Formotus. 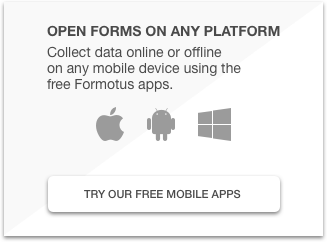 Formotus apps are ‘offline first,’ built from the ground up as robust self-sufficient apps, optimized at every turn for offline use. This means that your mobile workers can do much more than just continue filling a form after a connection is lost. Below are some of the things you can do with Formotus Pro apps even when there’s no Wi-Fi or LTE available. Create a blank new instance of a form while offline to begin filling it. Create several blank new instances of several different forms. Spend days or weeks offline if you need to, staying productive. 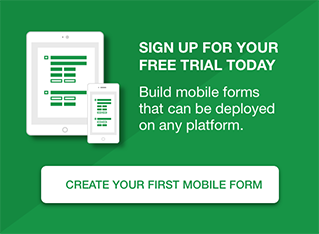 Store the drafts of all your forms locally on the device until they are ready to submit. Open a saved draft of a form in progress and continue filling it. Switch among several saved drafts of forms. Use forms with simple or complex calculations built right in. No server-side actions are required so everything works offline. Use multi-screen forms where the user moves from one screen to another as if navigating a Web site, with no connection necessary. Show or hide questions based on the answers to other questions. Show or skip whole sections or screens based on field values and rules, with no server connection needed. Turn something red based on an answer. Set a field’s value with a calculation if another field meets your criteria. Hide, show, set, calculate or format just about anything based on multiple complex condition statements. Create business logic as complex as you need without coding, and execute it all offline. No, of course you can’t query an online data source while offline. But you can build a data source right into the form and query that data offline. Also, when you know you’re going to need to work offline, you can first query an online source while you’re connected and cache the results for later use offline. Verify that required fields have been filled with data in the required format, and cue the user to correct errors, all without a server connection. Submit the form any time. If you’re offline it will queue in an outbox to sync when you’re back online.